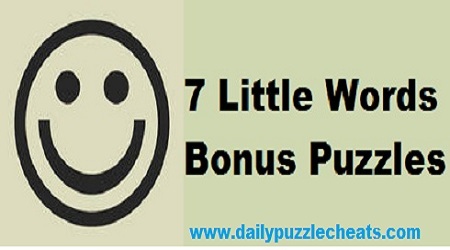 Check 7 Little words Daily Bonus Puzzle Solutions with clues. Answers are given below in blue color and clues are in red color. To check more previous Bonus Puzzle answers click here.